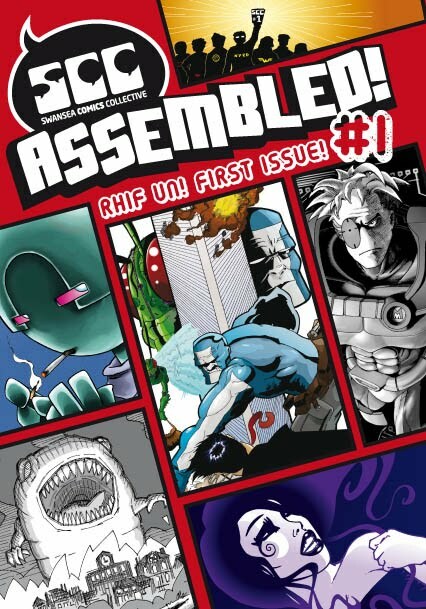 Swansea Comics Collective: SCC Comic ready for Cardiff IC Expo! SCC Comic ready for Cardiff IC Expo! It's true, the first issue of SCC ASSEMBLED! #1 could be in your clammy little hands soon. We've collected some of the best comic pages produced by members of the Swansea Comics Collective and, well, made a comic out of them! With contributions form Mark 'Son of Ken' Hughes, Lee Phillips, Mark Tranter, Rob Taylor, Simon Daniels, Ricky Webber, Adma Wilmot and Pete Taylor plus a selection of our favourite blarts from this very blog. We'll be running a 'creating comics' workshop and trying to create the biggest wall comic we can. Come along and help. BLART: The Ever-Lovin' Blue Eyed Thing!